Pandit Ravi Shankar is a celebrated musician of India. His sitar music, which embodies an eloquent expression and refined sensitivity, played a great role in bringing Western and Eastern cultures. His contribution presenting the significance of Asian culture to the world is enormous. Pandit Ravi Shankar is a Great Master of Asian music and is an internationally celebrated player of the sitar, an Indian traditional musical instrument. Mr. Shankar's rise to prominence has been regarded as a phenomenon by the world's music circles where only Western styles of music had been artistically recognized. In making the world recognize the high quality of characteristic Asian art, he has made a truly remarkable achievement. As a child, Mr. Shankar joined a dance troupe led by his brother, Uday Shankar, and traveled with them to European countries. During that period, he became immersed in the various styles of Western music, ranging from Classical to Jazz, and had opportunities to meet many great Western musicians. His experience in Europe not only enhanced his natural talent, making it blossom, but also had an immense influence on his artistic activities later in life. In 1956, he composed the music for Satyajit Ray's film, "The Apu Trilogy," which was awarded the Special Prize at the Cannes Film Festival. His wonderful music not only impressed audiences throughout the world, but also helped film scores obtain greater appreciation, thus succeeding in opening a new phase in the evaluation of Indian music. Ever since, Mr. Shankar has continued his borderless and diverse activities. 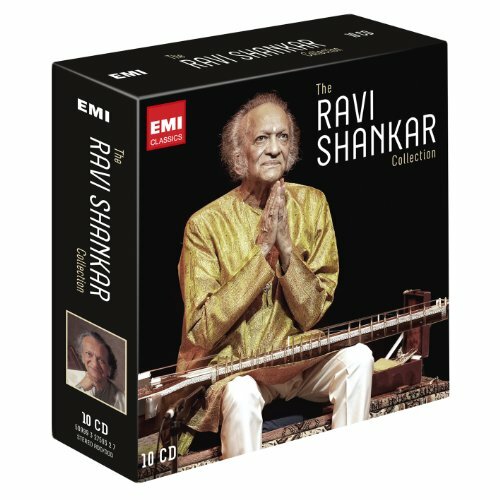 In cooperation with a variety of musicians from all over the world, they send messages of peace to all people along with Mr. Shankar's splendid sitar melodies. His musical work not only provided a platform for Eastern music to meet its Western counterpart, but also helped Western music break out of its traditional mold, and thus providing it with an opportunity to break new ground. He has also composed sitar concertos which have been played by such internationally renowned orchestras as the London and New York Philharmonic Orchestras, and which have received high and tremendous appreciation throughout the world. The concert halls always echoed with the audience's enthusiastic response wherever these concertos were played. Besides his work as a musician and composer, Mr. Shankar founded music schools and research institutes, and has taught at universities in the United States, thus contributing vigorously to the promotion of his superb art all over the world. In bridging the gap between Western and Eastern cultures and by promoting the value and character of Asian culture to the world, Pandit Ravi Shankar has succeeded magnificently. He is, therefore, truly worthy of the Grand Prize of the Fukuoka Asian Cultural Prizes.